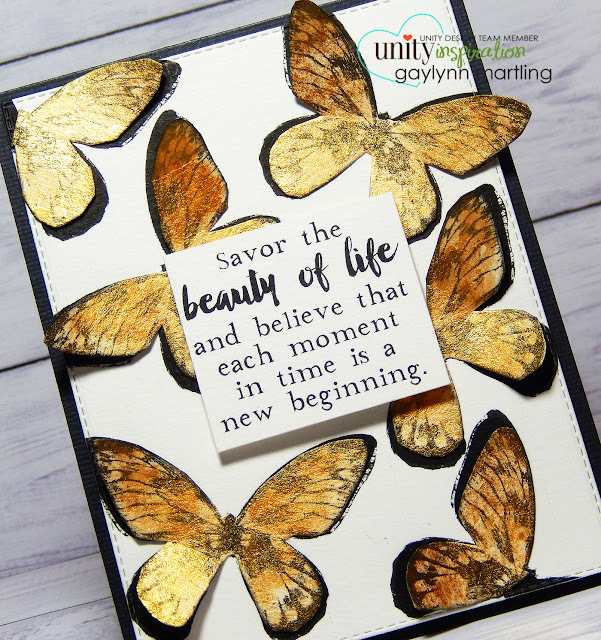 Hi, it's Gaylynn here with a Kit of the Month Monday project. Savor the beauty of life and believe that each moment in time is a new beginning. For this card, I used the solid and the outline butterfly images from the kit. 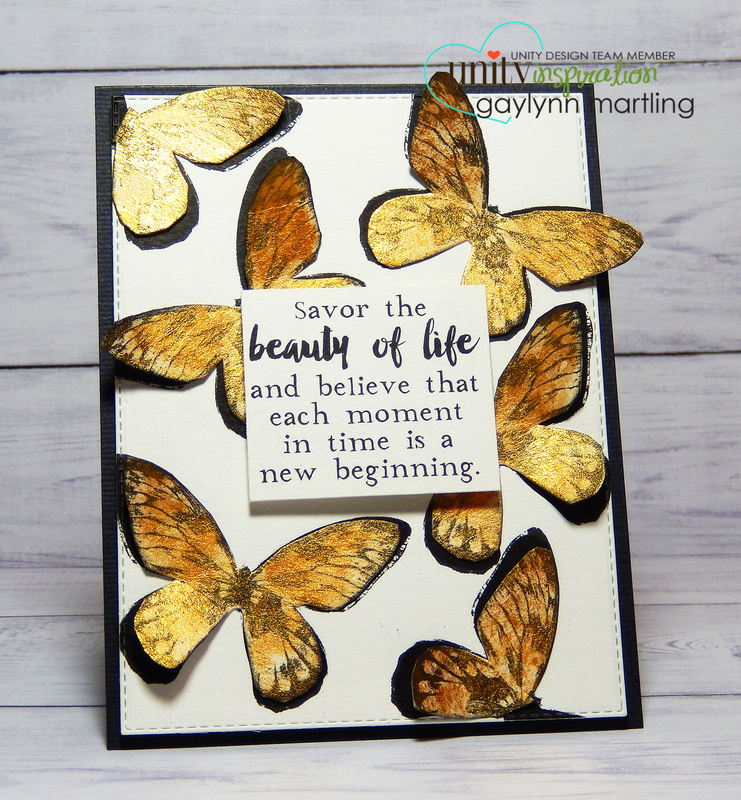 I stamped each onto watercolor paper, but only colored the outline butterflies in gold watercolor. I made a quick tip video tutorial for these layered butterflies. Here is the August 2017 KOTM called Never Be Afraid. And here is a closer look at my card. You can't go wrong with the KOTM membership. It is like getting a present in your mailbox every month. For more information, click Kit of the Month then scroll down for the details.